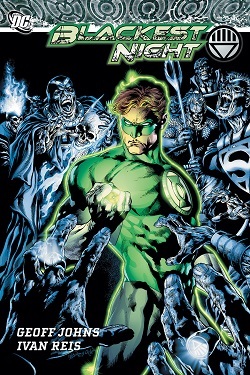 Blackest Night ran back in 2009 - 2010, serving as a crescendo for the first half of Johns’ seminal Green Lantern run. By Taylor Pechter — Death is a fact of the universe that most of us fear. We fear it for ourselves or for our loved ones, and at our lowest moments, we maybe even wish it on those we hate, be them real life figures or characters on TV. Death, however, is much different in the comicbook landscape, much less permanent, especially as it pertains to superheroes, famous as they are for passing between life and death with ease. Over the years, superheroes and their supporting casts have died and been resurrected so many times in comicbook stories. It is through this that death, in a way, has become a right of passage. This concept of death, acceptance, revival, and ultimately embracing life is a foundational idea in Blackest Night, the 2009 - 2010 Green Lantern story written by DC architect Geoff Johns, penciled by Ivan Reis, inked by Oclair Albert and Joe Prado, and colored by Alex Sinclair. Meant as the crescendo of the first half of Johns’ all-time great run on Green Lantern, in Blackest Night the dead rise across the universe and something called The War of Light rages. Ultimately, the story asks how will our heroes face confrontations with their revived friends, enemies, loved ones, and everyone in between? That’s what I’d like to look at today, the fundamental qualities of Blackest Night, and what they have to say about the concept of death, both inside the pages of superhero comics as well as in real life. While Blackest Night encompasses the entire DC Universe, the heart of the story lies in two characters, Hal Jordan and Barry Allen. As the Flash and Green Lantern, not only were they close friends, but their deaths and subsequent rebirths shook the foundation of the universe. However, they had their journies to death and back during two different times in their lives. Barry died destroying the anti-matter cannon during 1985’s Crisis on Infinite Earths. This act of self-sacrifice for the greater good gave Barry a hero’s death. Hal was different. At the point of his death, he had been greatly tested. His home town of Coast City was incinerated by Mongul and the Cyborg Superman during the Return of Superman story arc in the early 1990s. He was then subsequently possessed by the fear entity known as Parallax, almost singlehandedly wiping out the entire universe. While Hal’s sacrifice to reignite the sun in the wake of The Final Night story was a noble, it was at a time where he was looked down upon by the superhero community. As he remarks to Barry at the beginning of the story here as they stand over the unmarked grave of what is believed to be Bruce Wayne, “I died a sinner. You died a saint.” A path of redemption has led Hal to this point. What’s also interesting about Hal in this context, to me, is that his life as a hero has heavily involved death from the start. His famous willpower that earned him the Green Lantern ring began manifesting after his father died in a plane crash. For Hal, death has been a constant. As a Green Lantern, his job is overcoming fear, even if that is the fear of death, but is it possible to overcome something so inevitable? It’s an interesting question, one that plays a significant role in Blackest Night. This question is brought forth by the drive of the Black Lanterns themselves. When most people think of undead people, they automatically think zombies. 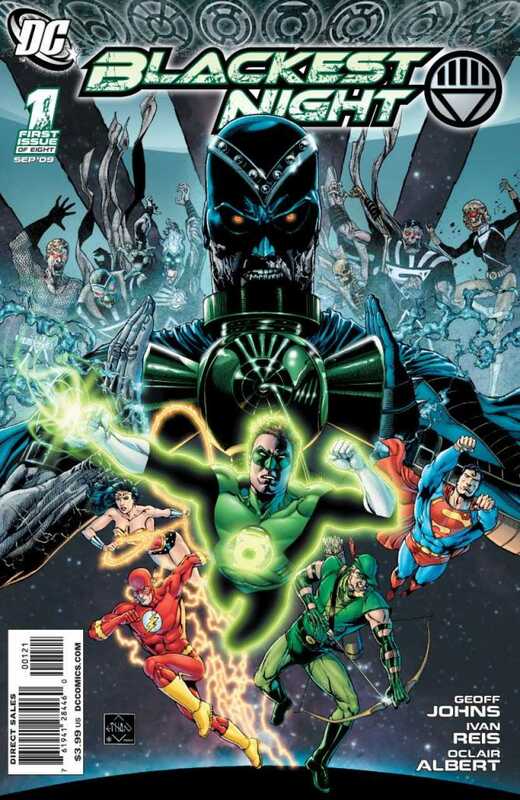 The central villians of Blackest Night, the Black Lanterns, can be loosely defined as “zombies”, but they don’t play into many of the usual tropes. Namely, they don’t seek out brains, trundle around mindlessly, or infect others with a bite. They are brought back to serve a purpose, to devour all emotion. To this end, they seek out the person they had the most emotional connection with in life, they read the emotion their target is feeling, then subsequently kill them, eat their heart, and turn the victim into a Black Lantern. In a consequential moment in the story, the corpse of what is thought be Batman is brought back by the entity of death known as Nekron. Unlike other Black Lanterns, however, he doesn’t stay reanimated long. He is used more as an emotional conduit. In order to tip the odds in his favor, Nekron resurrects Batman (long story) to gain a major emotional attachment to the Justice League. Through this, they play right into his hand, and the living become the dead, joining Nekron’s side. All is not lost though, as Hal and his band of ringslingers make one last push. In the final push to take down Nekron, the former Guardian of the Universe and current member of the Blue Lantern Corps, Ganthet, reveals a secret countermeasure in the rings, put there just in case this Blackest Night scenario ever came to fruition. This countermeasure is the ability to deputize. 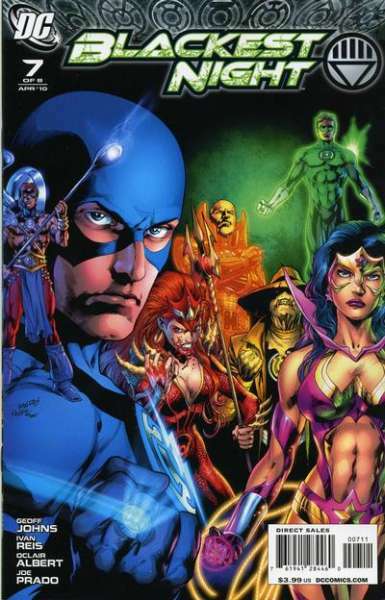 It is through this that seven characters are granted the powers of these respective corps: Barry Allen becomes a Blue Lantern, Mera a Red Lantern, The Atom an Indigo Tribesman, Scarecrow a Yellow Lantern, Wonder Woman a Star Sapphire, Ganthet himself a Green Lantern, and, finally, Lex Luthor an Orange Lantern. Their goal is simple: to create the White Light of life to defeat Nekron. As the fight reaches its zenith, The Entity appears, and the white light that spurred creation is summoned by Nekron. Before Nekron can corrupt it, Sinestro absorbs the entity proclaiming, “I demand your power Entity! And I will finally prove to the Universe….that I am the greatest Lantern of them ALL!!”. In conclusion, Blackest Night is often considered Johns’ magnum opus. Not only is the scale epic, but the characterizations are on point and the themes of accepting death and embracing life are resonant in both comics and the real world. The book itself is brought to life by the amazing art team of Reis, Albert, Prado, and Sinclair. The cinematic paneling, sleek linework, and expressive faces add a layer of gravitas. Read more of Taylor’s writing on our comics analysis page.